This is a FREE video all about seeing the “Big Picture”. 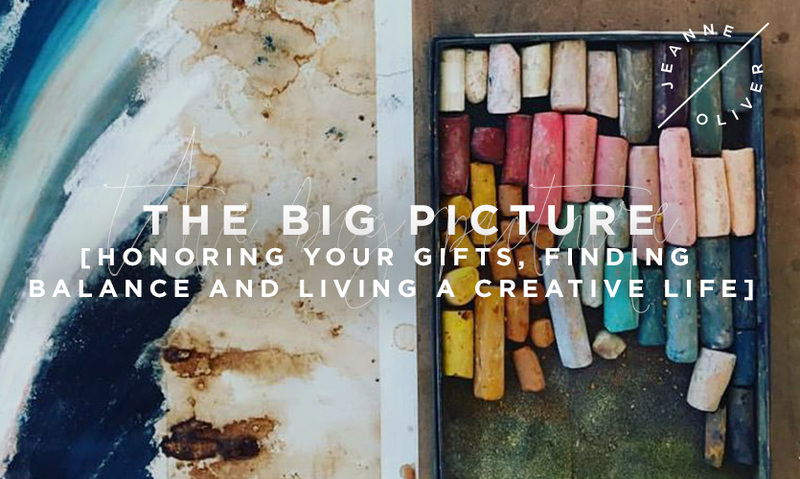 It is based upon Jeanne Oliver’s own journey of honoring her gifts, finding balance (if it even exists) and living a creative life she loves. 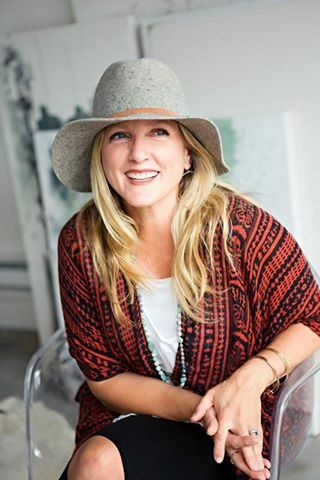 Being a wife, mom, friend, business owner, household manager, school juggler and creative are some of the hats I wear. I know you are the same and probably more. I also know that if I am not intentional with my marriage, children, schooling, business, creative time etc. than I miss out on opportunities of being present in each of these areas. I am not saying it is easy but it is very much worth it. 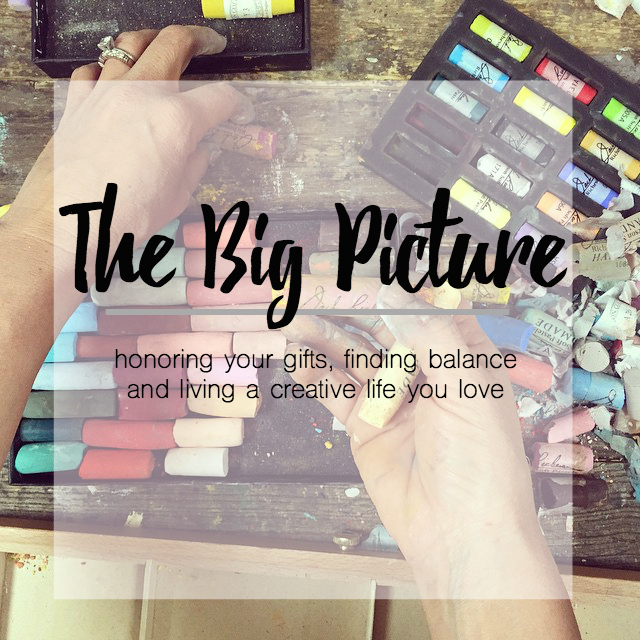 Being intentional and seeing the “Big Picture” has helped my life become beautifully full of the people, activities and beliefs I hold most dear. I am a work in progress and I have areas I struggle with and areas I definitely need to grow and change but that is part of life and learning how to live and do better. This is just a glimpse of where I am right now. We are truly all in this together and we can all learn from each other!